The Kansas 4-H Shooting Sports Program is a part of the 4-H Natural Resources area that focuses on using shooting sports as an approach for teaching life skills to participating youth members. This youth program is founded upon the National 4-H Shooting Sports curriculum. Throughout the 4-H Shooting Sports program, risk management and safety procedures are of upmost importance. In Harvey County 4-H, two certified programs are available for youth, the archery and shotgun projects. These projects teach gun and bow safety, hunting practices and give participants the opportunity to test their skills at local, district and state matches and events. National policy regarding age states that 4-H Shooting Sports Programs are open to all youth 8 years of age or older (as of Jan. 1 of current year). Local certified shooting sports coordinator Gail Lanier and instructors Tony Koehn and Kevin Duerksen lead these local programs. These instructors have completed training at the Statewide 4-H Shooting Training and have completed the 4-H Volunteer Screening Process. Practices for these projects typically begin in late spring and continue weekly throughout the summer and into the fall months. Youth that have an interest in guns and/or hunting are encouraged check out the Harvey County 4-H Shooting Sports project! 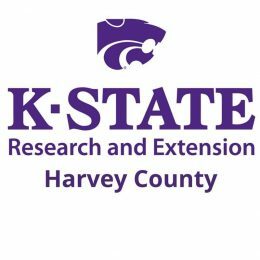 Enrollment for Harvey County 4-H projects, like Shooting Sports, is now open at https://ks.4honline.com.